2014 was good to us. Mostly. Because while it gave us plenty of wonderful things to eat, drink and wear, it also produced some very terrible, very real products like these. Feel free to point and laugh. 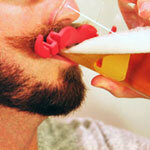 This thing affixes to your drinking glass and protects your mustache from getting wet. They say: “Free the mustache from the tyranny of drippy beer foam.” We say: “Drippy beer foam is still beer.” Conclusion: this is dumb. 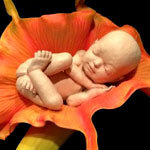 For your high-tech friends, there’s this little fetus sculpture taken from ultrasound images. It resembles a baby’s actual facial features and body position inside the womb. It makes for the creepiest of bookends. You’re lying in bed in some type of awkward embrace, your partner’s falling asleep, and your arm is cramping up. Quick, break out this ergonomic cuddling pillow. Yeah, that ought to ensure you never have to cuddle again. Losing a loved one is awful. 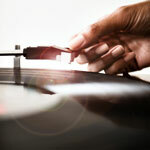 But forever immortalizing that loved one by pressing their ashes into a vinyl record is... yeah, still pretty awful. Don’t do that. 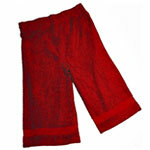 They’re not quite shorts so much as they’re a post-shower robe made specifically to cover you up from waist to knee. For the man who has everything... except a towel.